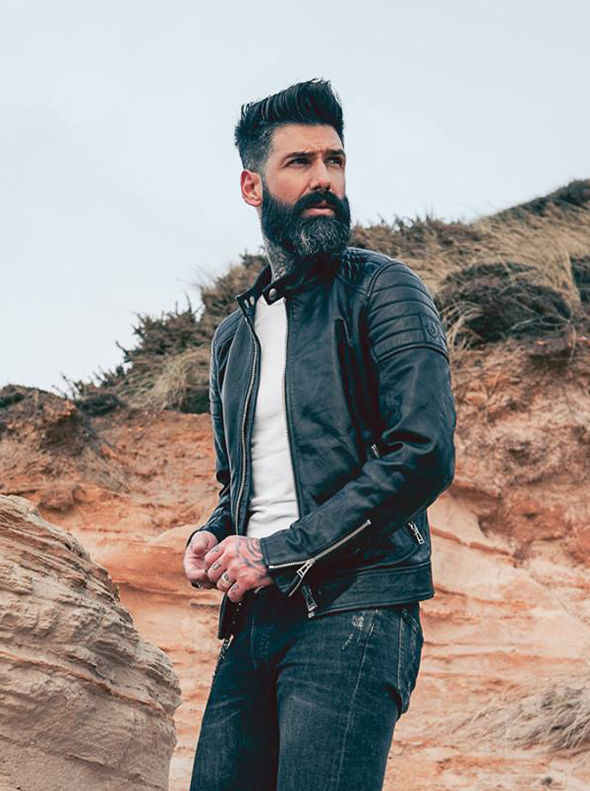 Capturing the spirit of adventure since 1924, British-made Belstaff has become a brand synonymous with iconic men’s style. Having amassed an A-list following alongside a plethora of fashion tastemakers and influencers, the label’s functional, innovative and luxurious coats, jackets and separates just happen to be ultra-stylish closet essentials. 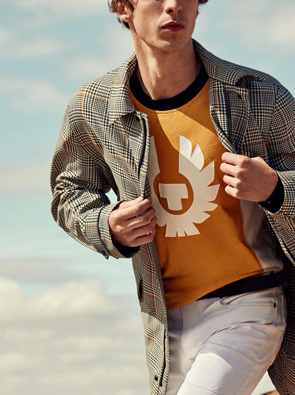 Although steeped in history, it is in the label’s forward-thinking design DNA that we find its relevance in the world of contemporary men’s fashion, and why our stylish Boutique Buyers keep going back for more. With good reason, the label is best known for its hard-wearing outerwear. 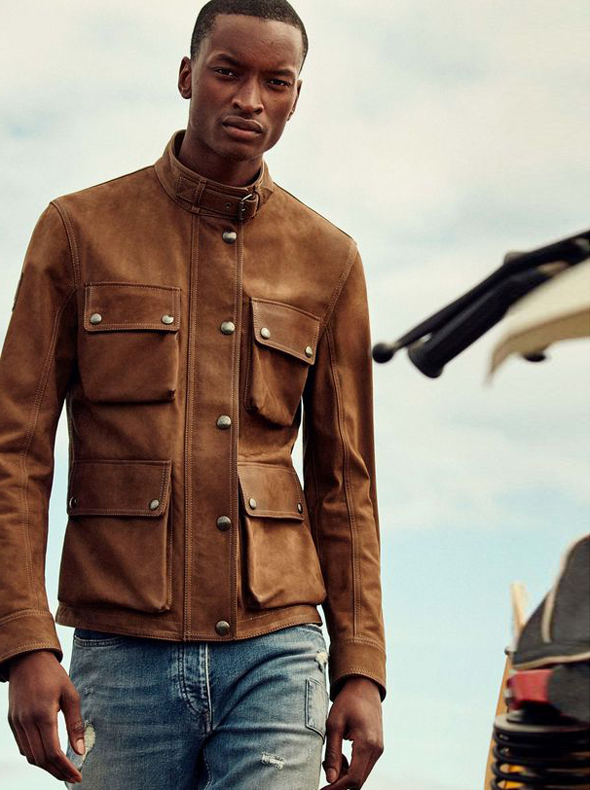 Belstaff’s calling card is its waterproof waxed cotton jackets, durable leather biker jackets, and winter-ready parkas. Imbued with classic design details, consider these investment pieces your all-weather wardrobe essentials - easily layered and styled to take you from summer to fall in seamless transition. Beyond luxury men’s outerwear, the label’s easy-to-wear separates form the foundations of a stylish capsule wardrobe. 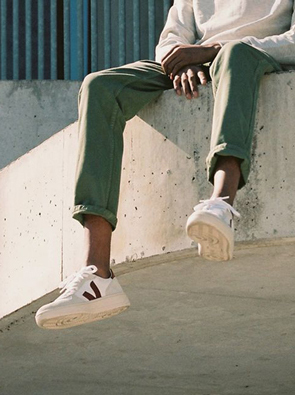 Graphic logo t-shirts, off-duty sweatshirts and relaxed lounge pants in tonal neutrals and subtle hits of colour carry a timeless, sophisticated appeal. 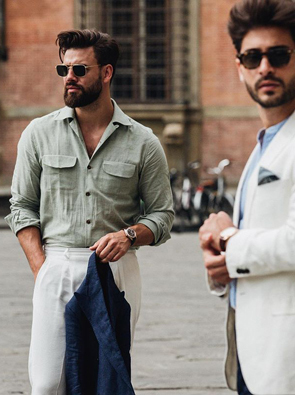 Style a laid-back tee with white denim and a vintage-inspired overcoat for an everyday look with an edge.